Oman, a state in southeastern Arabia, is a prime example of a country that has not benefited greatly from modernization, but instead has fallen into economic and political insignificance as a result of economic and technological innovations introduced by the West. 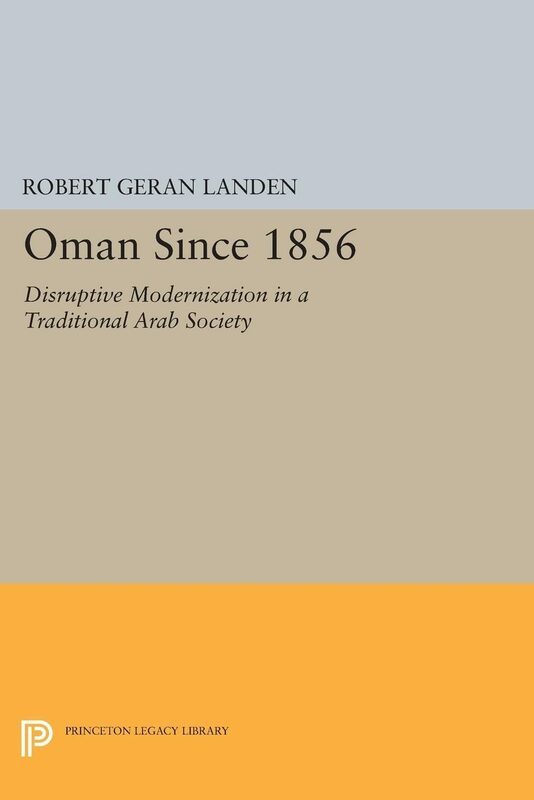 Prior to the nineteenth century Mr. Landen finds that native Omanis had developed a thriving maritime industry which was responsible for the country&#8217;s economic health. With the advent of colonialism from the West, Oman&#8217;s fortunes declined. The changes that took place, the influence of British leaders who directed the political activities in Oman, and the internal politics of Oman are all considered. The last chapter contains speculations on the effect of the discovery of oil on the future of Oman.Originally published in 1967.The Princeton Legacy Library uses the latest print-on-demand technology to again make available previously out-of-print books from the distinguished backlist of Princeton University Press. These paperback editions preserve the original texts of these important books while presenting them in durable paperback editions. The goal of the Princeton Legacy Library is to vastly increase access to the rich scholarly heritage found in the thousands of books published by Princeton University Press since its founding in 1905.